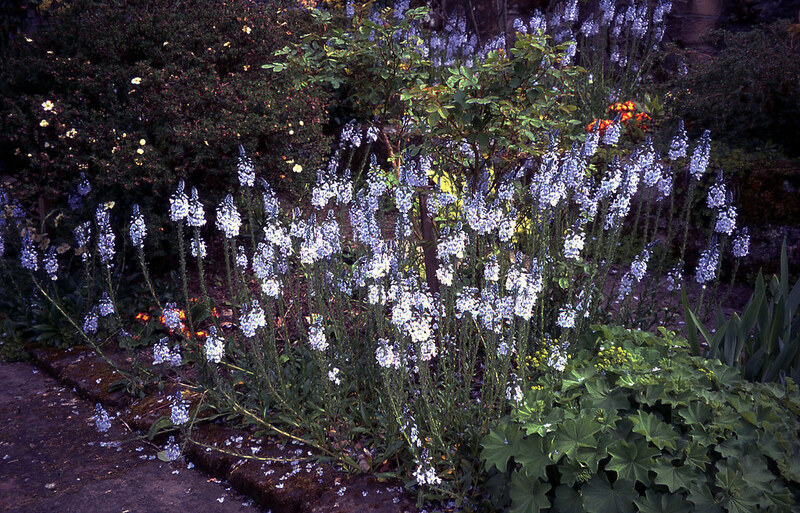 A charming perennial with slender spikes of white flowers flushed with blue, produced above a dense mat of glossy evergreen leaves in late spring and early summer. May-Jun. H45cm S45cm.